Anna May Wong was one of a kind. Widely considered Hollywood’s first Chinese-American movie star, she had a prolific career and starred alongside Marlene Dietrich and a young Lawrence Olivier. 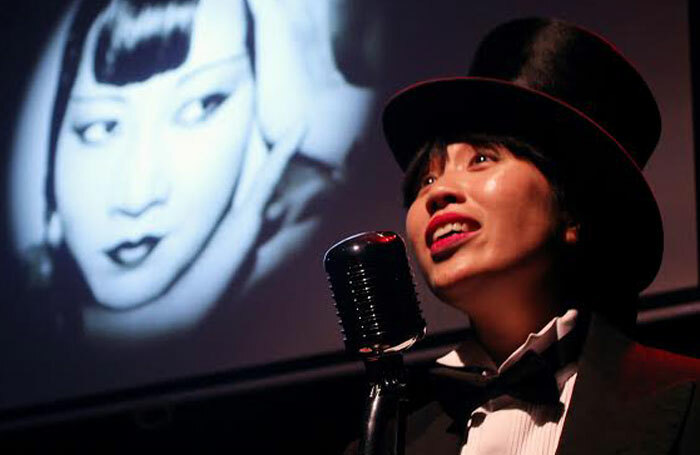 Grist to the Mill’s biographical show comes at a timely juncture, celebrating an important figure in film history at a time when Hollywood is increasingly being held to account for whitewashing East Asian roles. We follow Wong through her childhood as, aged 9, she begs film directors to cast her, and later defies her parents and drops out of high school to pursue an acting career. Throughout her career, she is forced to make choices between her work and her family. Increasingly she faces hostile popular opinion in China and typecasting from Hollywood, at once too Chinese and not Chinese enough. While the story is absorbing (I was previously unaware of Wong), this isn’t a sophisticated piece of theatre – chronologically tracing her biography, it’s essentially a lecture told in the first person. It’s difficult to glean much sense of Wong’s personality from the writing, the clean formality of which sits oddly in a live context. As Wong, Michelle Yim does a good job of injecting colour into the writing, but ultimately this feels more like a history lesson than a play.